The reviews are in for Apple’s iPad Pro, which went on sale earlier this morning ahead of its retail launch later this week. So, what’s this device good for? Is it simply a jumbo-sized iPad in the same sense as the iPad was called just an oversized iPhone? Does the significant screen size increase bring any tangible benefits to your mobile computing beyond just a bigger canvas for your apps? What about the Apple Pencil and Apple’s pricey keyboard cover, are these optional add-ons or essential accessories? Answers to these questions differ from one reviewer to another. Here’s our roundup of the best iPad Pro reviews on the web. Jim Dalrymple is excited for apps like Adobe Photoshop Fix that take full advantage of the iPad Pro’s 12.9-inch screen. Using an iPad Pro, he wrote, is especially convenient in full-screen multitasking mode. The speakers are surprisingly loud. If you use your iPad as a small TV, the audio improvements might be more meaningful than the bigger display. Battery life is simply outstanding. I didn’t even plug it in once between Monday and Friday, and it still had plenty of charge left. I’ve been using it for eight continuous hours as I type this sentence, and it still has more than 50 percent of a charge remaining. I think even Apple’s own apps are still figuring out how best to arrange layouts on this larger display. For example, in Mail, when the iPad Pro is in portrait, it only shows one column at a time. I think there’s clearly enough room horizontally, even in portrait, for a two-pane (narrow list of messages on left, wide message detail on right) layout. The iPad Pro in portrait is as wide as the iPad Air in landscape — and the iPad Air in landscape uses two panes for Mail. Third-party developers are going to want to adjust their apps after they get a feel for what it’s like to use the iPad Pro for real. I reached up and tried to touch something on the display. Ten minutes later I did it again. I point this out not to argue that I think MacBooks should have touch screens, but simply as an observation that even a lifelong Mac user can quickly get accustomed to the iPad Pro as a laptop. Federico Viticci, probably the biggest proponent of the iPad as a true PC replacement, is adamant that the device represents a slam dunk in terms of being the ultimate canvas for your work. The device I’ve used every day for a year to get my work done for this site now seems tiny and limited, with small apps, less content shown on screen, and a constrained multitasking interface. I know that it’s only been a week, and I do believe that the Air 2 is a great device for lots of people, but I feel like all the work I’ve done on the iPad and iOS has led me to this point. I’m ready to take my iPad setup to the next level, and I think my workflow can benefit from improved hardware and a more capable version of iOS. And in case you had any doubts, Viticci is going to switch to the iPad Pro. You can get a lot more done with iPad apps than with the paltry selection of tablet / touch-first apps available for the Surface. But, because Apple hasn’t made a great keyboard, the iPad Pro isn’t a complete replacement for a great laptop like the MacBook Air — even for a tablet guy like me. I’ll tell you right now who’s going to want an iPad Pro: anyone who draws or works with images. Its killer app doesn’t even come in the box. The Pencil, Apple’s new stylus is sold separately, for $99, £79 or AU$165. It’s specifically designed to work with the iPad Pro, and it blows away any other stylus I’ve ever used , even Microsoft’s Surface Pen. It’s fast, accurate, pressure-sensitive, comfortable, and for apps that support it, glorious. Andrew Cunningham was impressed by the iPad Pro’s MacBook-like computing speed, with all the virtues and limitations of iOS when it comes to replacing the PC. It’s best to think of the iPad Pro as a starting point, especially for iOS 9. These multitasking features are still brand-new, and there’s a lot of low-hanging fruit to pick in future iOS 9 revisions and into iOS 10. My biggest gripes with the iPad Pro are with the software rather than the hardware, and that means that most of them can be fixed given enough time and enough feature requests. It took Microsoft three tries to really nail down the Surface Pro concept, and given a couple of iOS updates the iPad Pro has room to grow into a more versatile laptop replacement without necessarily giving up the things that people like about iOS. By the way, you might want to block out the next two hours of your time to read Ars’s incredibly detailed iPad Pro review, but then again—that’s what we love about the site. 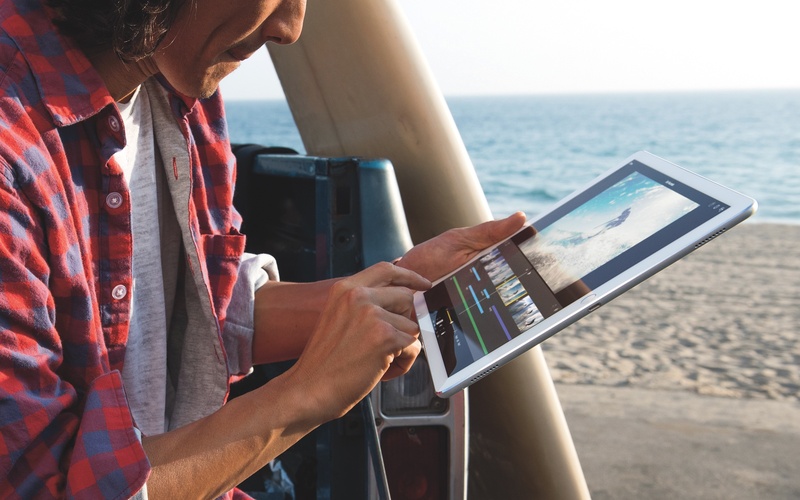 For Matthew Panzarino, the iPad Pro is the death of Steve Jobs’s ‘PCs are trucks, tablets are cars’ metaphor in that there’s no longer just the ‘truck’ of the desktop and laptop and the ‘car’ of the phone. There are gradations of tone in between, and the iPad Pro absolutely, 100% could be the central computing device for a home. Many days, I run TechCrunch from my phone. On those days, the ‘traditional’ computers in my household lie dormant, completely. If you think this is an edge case, you are blinding yourself to the way the world has changed. It’s going to take some time and experimentation to figure this out. Despite my irritation at the way that the tablet space is analyzed, I am not willing to declare the personal computer (non-Cupertino definition) ‘dead’. I’ll leave that to the bombasts. But there is a certain (sorry) norm-core computing demographic that could very well end up with an iPad Pro as the ’enhanced’ component to their smartphone, which is their real computer. Apple has the real edge over Microsoft on battery life, though. With brightness at 75%, the Pro streamed Netflix for eight hours and 15 minutes. The Surface Pro 4 conked out 2.5 hours sooner. (My Web browsing test showed similar results.) The big downside to the Pro’s big battery is that it takes nearly 5 hours to recharge. My MacBook Air reaches 100% in two hours. The A9X chip and 4 gigabytes of RAM make everything fantastically fast: even on a huge, high-res screen, I couldn’t find an app or game that would stutter. The best way to make the iPad do more stuff was to give it a processor that can handle the load; Apple did that and then some. The Pencil is the more important accessory. This long, white, paintbrush-looking stylus is central to the notion that the iPad Pro is for doing anything, any way you want. In apps that support it, the Pencil is an unbelievably accurate, fine instrument for creation or control. When you write or draw, it feels like ink is coming straight from its tip. You can shade with the side of the Pencil, write in beautiful calligraphy, or sketch with amazing accuracy. The Pencil works so well because it gets special access to the Pro’s software. Whenever your iPad detects the Pencil touching the display, it doubles the screen’s read rate so it checks for movement 240 times a second. That, plus pressure sensitivity and real-time measuring of the Pencil’s angle and position, means the Pencil puts out much more data than you’ll get from any other stylus. You can use others, but the Pencil is special. 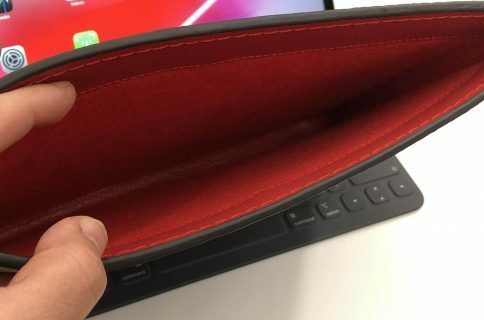 He wraps up the review by saying that nobody’s going to toss their iMacs and ThinkPads into the garbage tomorrow and instead lay a 12.9-inch tablet on everyone’s desk. “If there’s a touchscreen revolution underway, it’s going to happen slowly, an app and an accessory at a time. That’s OK. The iPad Pro is a fantastic tablet, not to mention the first iPad in ages that has an obvious value next to our giant smartphones,” he said. 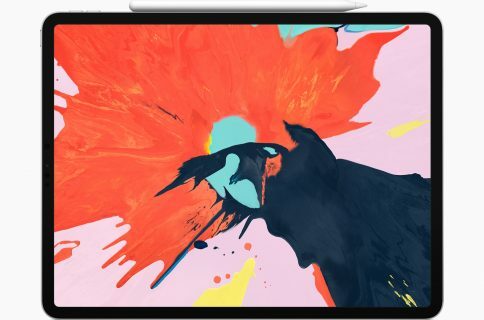 The iPad Pro is available for purchase starting at $799 for the 32-gigabyte Wi-Fi-only edition via the Apple online store and brick and mortar Apple retails stores. The 128GB edition with Wi-Fi is $999 and the flagship 128GB Wi-Fi + Cellular version is $1,079. The Apple Pencil is $99 and Apple’s Smart Keyboard for the device is $169. 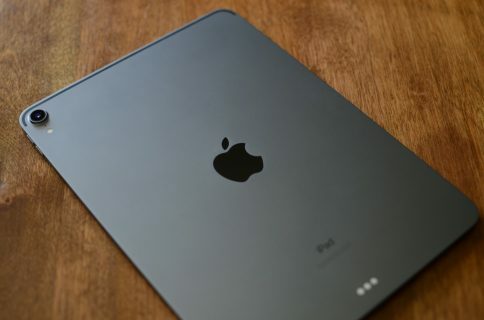 Will you be ordering an iPad Pro? Why, or why not?